Give thanks to the Lord, for He is good; His love endures forever (Psalm 118). 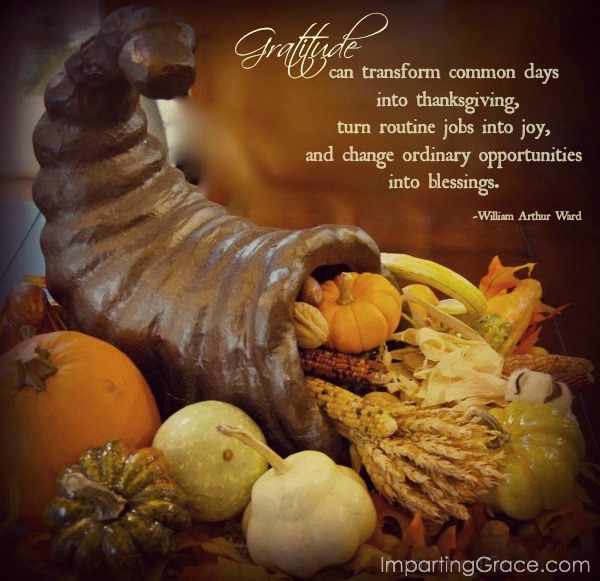 While I love the holiday of Thanksgiving, I'm thinking that it shouldn't be limited to one day. So I'm starting today. Will you join me? You're so right, Richella! Gratitude should be a year-long attitude! I am doing the same, Richella! Happy to join you and to see you call attention to the daily need of Gratitude for all our Blessings. Thanks again, Dear Lady. Thanksgiving and Easter are my favorites. Two great days to be thankful.